Dr. Wilfred Brown has a medical spa and plastic surgery practice in Middlebury, Connecticut and belongs to New York Aesthetic Consultants, a group practice in Manhattan's Upper East Side. Splitting time between two practices in different states poses some challenges. That's Interesting: Dr. Brown completed his medical training at the University of Witwatersrand in Johannesburg, South Africa then six years of General Surgery training through Yale University, followed by a fellowship in Plastic and Reconstructive Surgery and Pennsylvania State University. You received your medical education in South Africa. How did you end up as a plastic surgeon in New York? I was a very artistic child who loved to paint and construct various creations. As I grew older, I was fluctuating between a career in medicine or architecture. I applied to medical school at the age of sixteen. It was very competitive to get into medical school in South Africa, and was not something that one turned down if accepted. So, at that young age of sixteen, I was committed to becoming a doctor. The South African medical school system varies from the American system, in that there is no undergraduate study but rather, there are six years of medical school. During this time, I was innately fascinated by the aesthetics of the human form and focused on developing an eye for ‘normal’ proportions of the body and face. I knew wholeheartedly that I would pursue surgery, specifically plastic surgery, where I could apply my artistic tendencies to my work. I began my plastic surgery training with internships in Johannesburg upon graduation from medical school. However, the political climate and safety concerns of my homeland led me to emigrate from South Africa to the States, where I began the arduous journey of training to reach my professional goals. Throughout this demanding time, I not only honed my surgical techniques, but also paid close attention to developing strong listening skills which I knew were paramount in order to provide each unique patient with the individual outcome for which they were striving. I began practicing in 1999, focusing mainly hand surgery, breast cancer reconstruction, treatment of severe wounds, and treatment of skin cancers. I opened a medispa one year after the opening of my surgical practice, which attracted an aesthetic clientele. Over time, my practice began to evolve into an aesthetic one through word of mouth and cross-referral from the medispa. Today, my practice is nearly completely aesthetic. Can you tell us more about your own clinic in Connecticut and your group practice NY? I am currently working on two locations. Post-graduation, I opened my practice in Connecticut where I have a large office and spa/ skincare clinic. I offer an array of non-surgical rejuvenation procedures to complement surgical options. Minor procedures are performed under local anesthesia and/or minimal oral sedation in the office, and major procedures are performed at a local surgery center. Patients also have the option of having their operations performed at a local hospital. My Connecticut practice is led by my wife, Carolyn, who is a Registered Nurse with an MBA, giving her the perfect combination of training to understand and implement both the clinical and business aspects of the practice. Our team consists of a wonderful team of women who are very dedicated to the success of my practice who have been with me for many years. We have become an extended family who works very hard and assists each other whenever the need arises. While we are very diligent and busy, we also have fun and even get together socially. I never have to deal with sick calls or interpersonal issues. The staff genuinely likes being there. They are all extremely knowledgeable about the procedures we offer and can provide a personal perspective to prospective patients as they have had both surgical and non-surgical procedures as well. The atmosphere in the office is very much light and easy, and the patients become our friends as we form strong relationships with them. Because the decision to have an aesthetic procedure can be very anxiety provoking, we are very diligent about putting the patients at ease beginning with the first phone call and visit to the office. 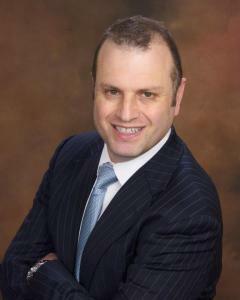 The director of the Upper East Side practice in New York office is Dr. Ron Shelton. The New York Aesthetic Consultants was one of the first MediSpas in NYC and was created in 2000. There are two plastic surgeons, one clinical nurse practitioner and one dermatologic surgeon, an aesthetician, four medical assistants, two lab Mohs technicians, two billers, three receptionists, and a practice administrator. The office is a 6,000 square foot office located on a tree-lined street with a private curved driveway and separate entrance for easy pick up of discharged surgical patients. The street is unusual in that it is a two way street, but quiet and allows access from both Third and Second Avenues. The convenient office location allows us to draw from a massive patient population. There is an accredited operating suite where most procedures can be performed with the assistance of an anesthesiologist. In addition to standard surgical procedures, we offer a very broad range of non-surgical options, including, but not limited to, Zeltiq CoolSculpting, Ultherapy, Thermage, Fraxel, Portrait and Pelleve. The unique feature of our practice is that the collaboration of both a dermatologist and plastic surgeon offers patients various approaches to treat most, not one, of their concerns and provides them with a comprehensive treatment plan that will best suit their needs. Additionally, we offer the expertise of a highly experienced European-trained aesthetician as an adjunct to the procedures we offer. Each of us is highly experienced and focused in their respective fields thus ensuring that each patient is getting individualized top notch service/ treatment. I have been very lucky in that my staff turnover is nearly nonexistent. In the early stages, there was a fair amount of hiring and firing, which was mainly due to gossip and attempting to pit staff members against each other. It is very unusual to find a group of women like I currently have who are supportive and do not participate in these poisonous activities. Any prospective employee was interviewed by the entire staff and there was a meeting to discuss whether or not to hire the person. However, even this was not foolproof, and you never see someone’s true colors until they are actually in the position. We recently created a new position for which we thought we had the perfect candidate, though found out she was anything but perfect after performing a background check, which I highly recommend. I have always been told by colleagues not to become friends with my staff, but I did not heed this advice. Rather, I have just found this to be a major advantage as patients have a palpable feeling of happiness among the staff when they are in the office. Again, this helps to put the patients at ease, particularly those who are anxious about being there for the first time. The staff is paid on an hourly basis and we do not incorporate a commission structure in either practice. I feel strongly that commission may create competition and upset the wonderful balance I have with my staff. However, there will often be team goals which will be compensated equally amongst staff with gift cards. Because we are a high volume practice to our vendors, they are very extremely generous with free products and services. I also am very open to performing surgical procedures on my staff, who can speak to patients firsthand about their perioperative experiences and show their preoperative photos. I find this to be an excellent selling point as the patient can see a “real person’s” result, not just a photograph. What do you think of the nonsurgical technologies, IPLs and cosmetic lasers that are on the market? In The New York Aesthetic Consultants, Dr. Shelton, who completed a cosmetic dermatologic surgery and laser fellowship, reviews new technology by reading the scientific literature and questioning colleagues across the country whom he trusts as being honest and who have great experience in that technology. Lasers such as: the V-beam 595nm. yellow-light laser for facial redness and port-wine stains and leg veins, the Alexandrite laser for sundamage liver spots and tattoo removal, Fraxel Clear and Brilliant for fine lines and sun damage, Fraxel Restore / Dual for moderate lines and darker pigmented sundamage and melasma and acne scars, Fraxel Repair for deeper lines and worse acne scars, Portrait plasma resurfacing, Thermage, Pelleve and Ultherapy for non-invasive radiofrequency and ultrasound tightening and lifting, Light Sheer diode laser for hair removal, and Liposonix and Zeltiq’s CoolSculpting for non-invasive fat reduction are the current devices utilized. Safety is an important issue when deciding on laser and energy sources. The device must have a proven good safety track record. Devices that are not found to provide a consistent good clinical effect or those that are considered to have a higher rate of scarring than normal are not purchased. Most of the time, we do not purchase new devices when they are first brought to market as there always is considerable knowledge obtained by the physicians who first use the device after the company has completed the FDA studies which the company had not been aware. Sometimes there are complications that occur that were not noted during the study period and we would like these new devices to be tested by others rather than subjecting our patients to an unnecessary risk. Once the new and improved protocols are released, and we can interview doctors who have used the device, we feel more comfortable to make a purchase decision based on ease of use, safety and effectiveness. Driving patient flow is always a concern. What are you doing to keep new patients walking in to your clinic? In my Connecticut practice, word of mouth is by far my largest referral source. We also send out birthday cards with discounts on various non-surgical procedures. Eblasts are our main form of communication of events, news and promotions, and this information is also available throughout the office. We recently began employing an SEO company and have noticed a significant rise in new patients stemming from this. This company also manages our social media platforms, but we need to begin being more aggressive in that arena. Girls Nights Out are always successful and fun, where we bring in outside vendors to create a boutique for shopping, offer raffles, drinks and hors d’oeuvres while I mingle and have informal chats with the attendees who are either existing patients or who were brought by a friend. I am currently planning a dual seminar with a financial services expert who will be speaking specifically about women’s wealth management. The New York office, similar to the Connecticut practice, has evening seminars, sends eblasts, and has a very broad internet presence as it is becoming more involved with social networking. What treatment modalities create the most sales for you? Fraxel resurfacing, CoolSculpting fat reduction and Ultherapy non-invasive facial lifting are frequently performed and have a reasonable profit after the cost of the device’s lease and consumable tip/applicators are taken into account. Aesthetic procedures can literally transform a person’s personality and outlook on life. Confidence and self-esteem are so vital to one’s view of themselves, and I receive such a sense of accomplishment if I can be a part of helping someone be the best they can be. I truly believe we feel our best when we look our best. Acceptance and comfort with one’s personal appearance is such a powerful aspect of how we feel as unique individuals. Dr. Shelton remembers many gratifying moments when seeing a transformation of someone’s appearance affecting their confidence. People who used to walk with their heads down and not look others in the face when speaking, suddenly are new people after such procedures as acne scar revision or changing the appearance of facial features with fillers. I remember a story of a physician’s spouse who had one cheek much smaller than the other and was always so self-conscious about this. Dr. Shelton did one fat injection treatment and immediately post-operatively, upon gazing in the mirror, the woman started crying with tears of happiness. For the first time that she could remember, she looked normal in her mirror. What insights or advice would you give to other physicians that could benefit them? I believe that aesthetic plastic surgery can be very challenging not only from a technical aspect, but also from a psychological one. It often takes experience and insight to recognize in which direction a patient should be guided prior to their treatment. I think the most important advice for anyone considering a career in plastic surgery is the need to choose your patients wisely. One cannot perform a case with compensation as the driving factor. Each patient needs to be screened for any red flags in their personality that may signal they will not be happy no matter what the outcome. Many patients have unrealistic expectations and they need to be clarified in writing prior to any surgery being scheduled. A scenario that goes along with this is the patient who sees flaws that do not exist. My response is “I cannot fix what I cannot see”. Additionally, if you suspect the patient may not be compliant in the post-procedure period, you may want to rethink performing surgery on this patient. Pre-operative photographs are imperative because patients often forget what their appearance was prior to the procedure, then are unbelievably surprised when they see their before and after photos side by side. An overbearing spouse or significant other also signals that the decision is being done for someone else, not for themselves. Also, patients who blame their appearance on various failures in their lives may also not be viable candidates for surgery. I think the best advice is to treat all your patients with respect and do your best. They will be your best marketing effort when they tell their family, friends and colleagues about you. Have cosmetic patients pay for their procedures when scheduling. Do not book a long or expensive procedure assuming the patient will pay the day of the surgery, or that the check they give you will clear. Don’t allow patients to leave after fillers and Botox telling you to bill them. They wouldn’t dare think of having a meal in a restaurant and not pay, so they should pay you. Have a finance plan available, such as CareCredit. About: Dr. Wilfred Brown is originally from Johannesburg, South Africa where he completed his medical school training at the University of Witwatersrand. He subsequently relocated to the United States where he completed a full General Surgery residency through Yale University, followed by a Plastic Surgery fellowship at Pennsylvania States University. He has been in solo private practice in Connecticut since 1999, and has been practicing at the New York Aesthetic Consultants in Manhattan since 2010. His clinical focus is that of aesthetic plastic surgery and aesthetic injectables.